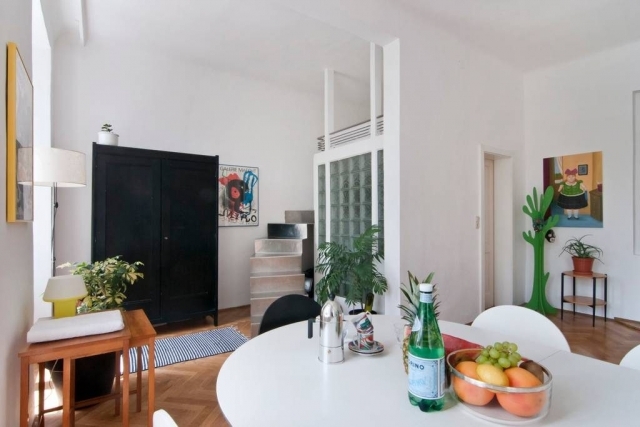 Just a few minutes walk from Wien Mitte (Vienna’s main train station) and the popular Stadtpark, this bright and spacious Airbnb apartment is the perfect place for both short and long stays in the city. Although my stay in Vienna was short, spending it in this this spacious, impeccably clean, fully furnished and well equipped Airbnb apartment made it extra sweet. Before getting into how much I like this listing, let’s dive into some specifics. The apartment has a bedroom, a kitchenette, a bathroom and separate toilet room, a living area and dining space and a loft bed (accessible by a small set of stairs). 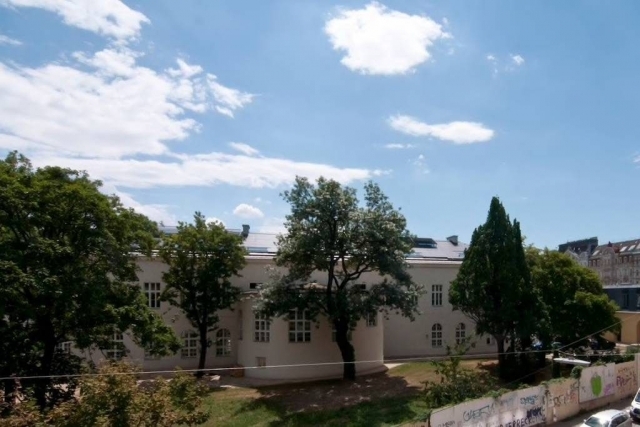 Furthermore, it is located on the second floor (there’s an elevator that opens up right in front of the entrance and stairs directly to the right of the entrance) of a period building. The apartment’s high ceilings and large windows let in plenty of natural light, making the entire space very bright and airy. Furthermore, the space overlooks the street and the green space directly across from it. 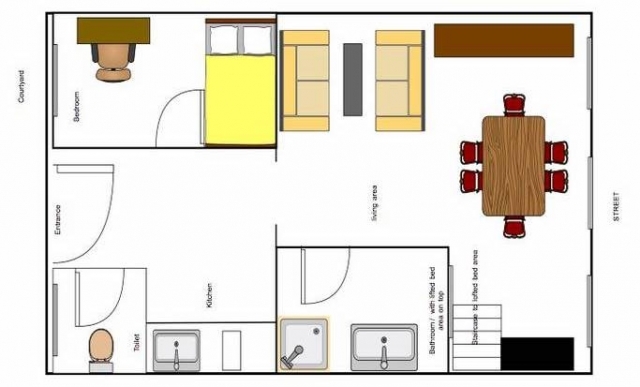 I’ve provided a copy of the apartment’s layout below to give you a better idea of its design. The bedroom is located immediately next to the front door. It is small, but has a single bed, a dressing table and an iron. It was the perfect size for me and I found the bed and the room in general to be extremely comfortable! Just outside of the bedroom, along the opposite wall, is the kitchenette, which is fully equipped (minus a dishwasher – no biggie!). It has a coffeemaker, sink, dishes/glasses and flatware and was equipped for cooking. Coffee pods and tea bags are also provided to jump start your mornings. The bathroom and toilet room are separate in this apartment, which was a pleasant surprise for me. I grew up in France, where that layout is quite common, so having the toilet room separate is a feature I actually prefer. The host, Leander, was so kind to provide lots of toiletries/amenities in the bathroom, including towels, shampoo, soaps, body wash, sunscreen, feminine products (like, what!? ), lotion, a hairdryer and much more. 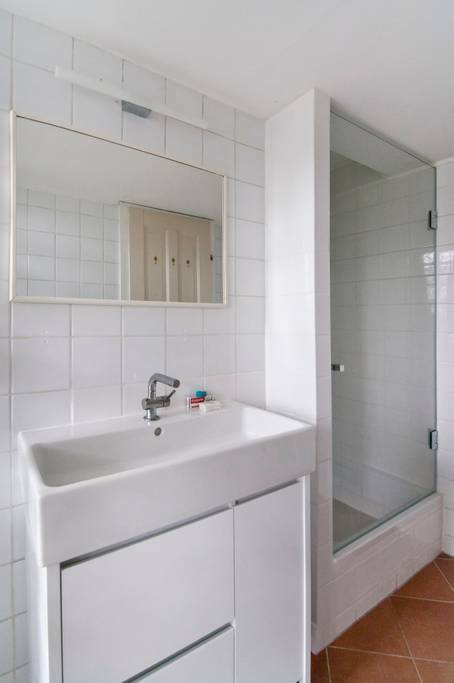 The shower is large and, although there isn’t much counter space, there is a decent amount of drawer space in which you can store your toiletries. 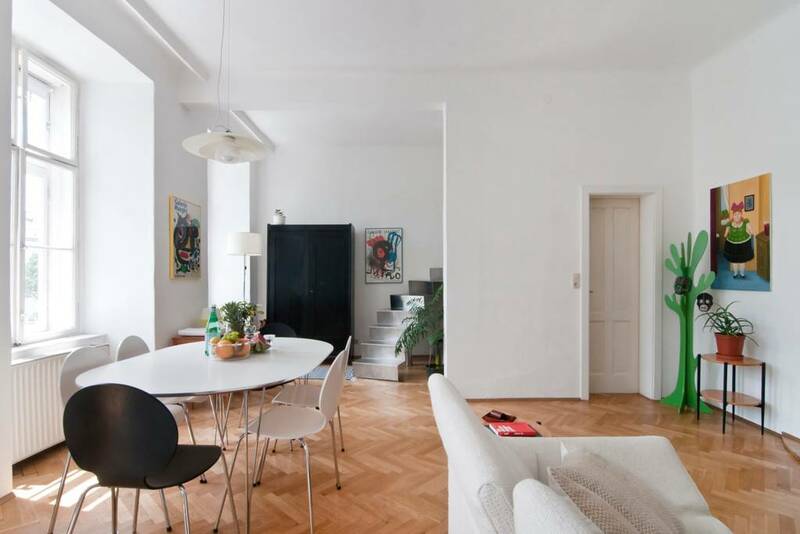 The open concept of the entire apartment unites both the living room and dining area. Two sofas, a coffee table and book shelf make up the living room and just behind is a large dining table (with seating for up to six people) and large cupboard. An iPad is provided to allow people to browse the Internet and watch TV. The cupboard in the dining area has a hi-fi set up and an old-school record player (and records!). Furthermore, it stores various games and universal mobile phone chargers and power plugs – so don’t worry if you forget to bring your own! This area also has a large wardrobe, in which you can find an umbrella and reusable shopping bags. The loftbed is perched right above the bathroom, kind of off to a corner of the living room up a small flight of stairs. Although the stairs do kind of start in the living area, its location “upstairs” helps maintain its privacy. Overall, the decor, various amenities and personal touches in this apartment really make it feel like your home away from home. As I’ve said countless times, my favourite thing is when accommodations can make me feel like I’m at home while I’m traveling. My second favourite thing is strong wifi – which this apartment also has ;). Why is wifi so important to me? Well, I often work remotely while I travel AND I am very active on social media, so a strong Internet connection is a necessity. Thankfully, I didn’t have to worry about being disconnected while staying here =D. You can check out my videos of the apartment in my Vienna story highlights on Instagram here. This Airbnb apartment is so conveniently located that we were able to walk almost everywhere. 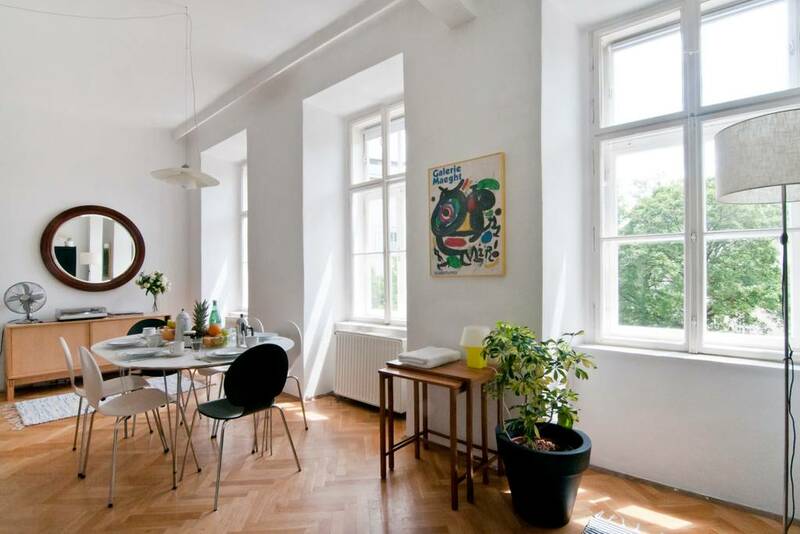 It is very close to main destinations in the city, such as Stadtpark (few minutes’ walk), Karlsplatz, various museums and the opera, among other landmarks. The apartment is in a building in an area that borders the first and third districts. Furthermore, it is right across the street from the University of Music and Performing Arts. 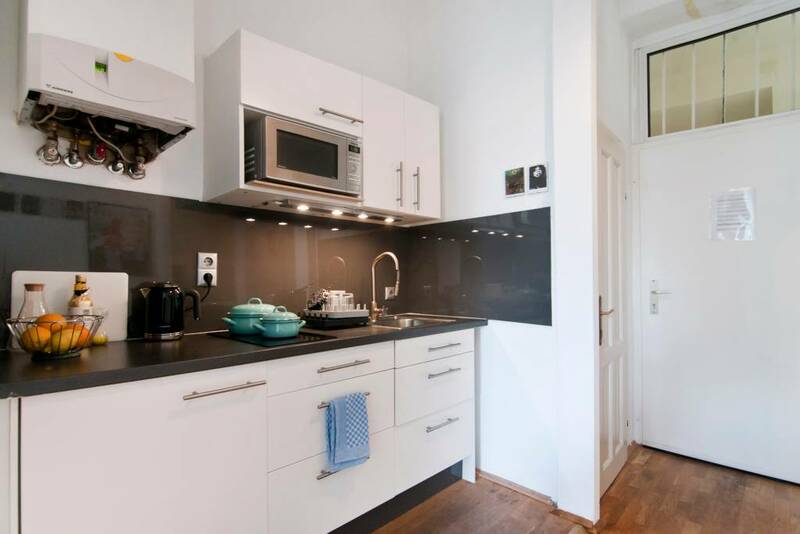 It is also just one block from Wien Mitte station (and Wien Mitte mall), making it super convenient for transferring from the airport. As a side note, we ended up getting a two-for-one ticket deal, so it only ended up costing us a few euros each to take the train from the airport to the station. Oh, and the train has wifi! Win! Furthermore, metro lines U3 and U4 and buses and trams are very close by for those of you who are planning to use public transport. 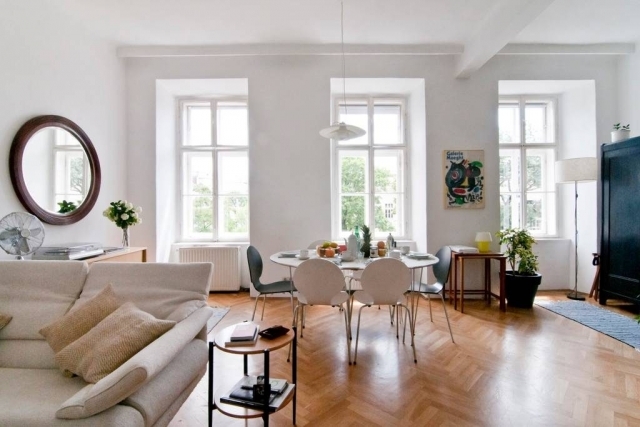 Although this Airbnb listing is centrally located, it is on a quiet and safe street that is tucked away from the overcrowded tourist areas. It is in a very local area, so you essentially experience the city as a local. The surrounding neighbourhood is home to many local cafes, bars, restaurants and stores/shopping. In my book, this is the ultimate experience, as the premise of Airbnb is to live like a local while traveling – here, you get to do just that. If you want to check out some of the great food/cafe options that are in the area (some of which were suggested by Leander), you can take a look at my Vienna story highlights on Instagram here. I’ve included maps of the general area below to illustrate the location of the apartment. Note that I’ve used the same maps as those used on Airbnb to maintain the owner’s privacy. 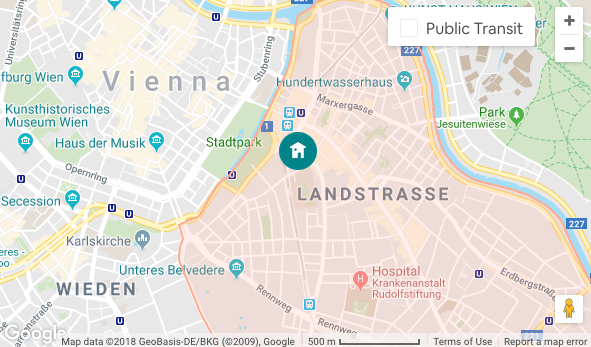 If you want to take a closer look at what’s nearby, you can search the Wien Mitte station or Stadtpark on Google Maps and browse the area. We were lucky enough to meet with the host, Leander, for both check in and check out. Note, that if he is not in town, a self-checkin option is available. However, I’m so glad he was able to meet us during our stay, because I don’t know that our experience would have been as memorable as it was had he not been! I’m about to officially become a broken record, but I sincerely believe that the people you come across while traveling can really make or break your experience. Leander made our stay here a wonderful one! As a host, I found Leander to be super friendly and always willing to help. He stays on top of everything for his guests (from fixing blown electrical fuses to unbudging stuck door locks–true story) and does whatever he can to make sure things in the apartment run smoothly for them. He answered all of our questions without issue and quickly fixed the couple problems we had. He also maintained open, polite and professional communication, both before and after our check in. Before check in, he sent me all of the information I would need to know about the apartment, including complete instructions on how to get there from the airport. He really makes sure to do his due diligence and that all of his guests are well informed before their arrival, which is very respectable. During check in, he sat with us for some time, suggesting places for food, shopping and general entertainment throughout the city. 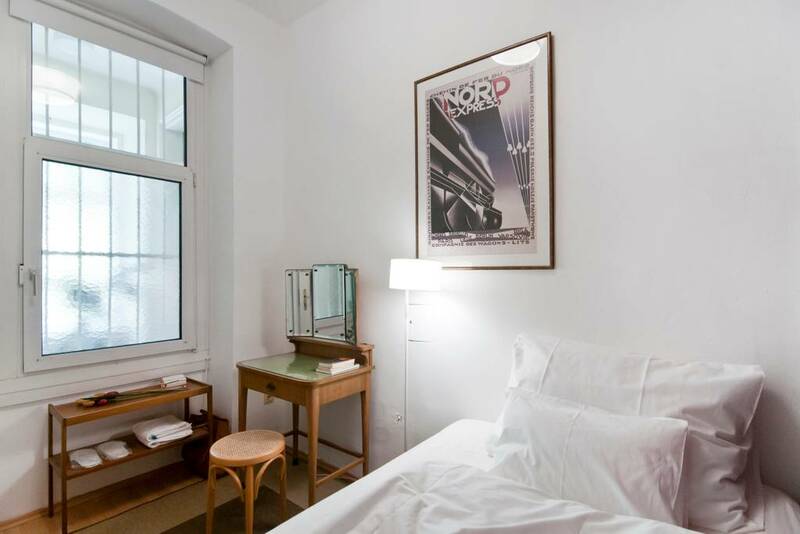 He also makes sure to keep various maps and tourism books on Vienna in the apartment for guests to browse while planning their daily activities. I also really appreciate and am impressed by the fact that Leander is thoughtful enough to include all of the additional amenities that he does to make his guests comfortable during their stay. I have stayed in many Airbnbs over the last 3 years and cannot say the same for all hosts. He seems to have thought of everything a guest would need to be comfortable while traveling, which makes this apartment truly feel like home. 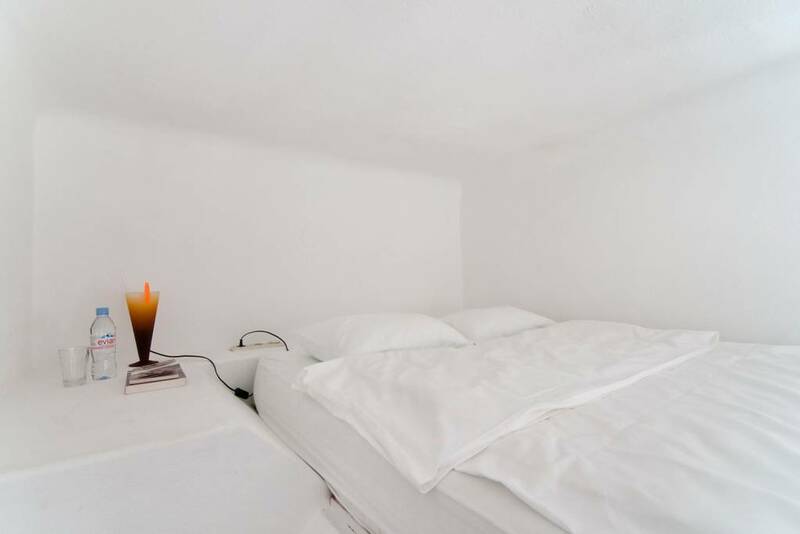 A final important feature of this Airbnb listing is the great value that it offers. At the time (April 2018), the rate for this apartment was $445 CAD for 2 nights after fees and taxes. This worked out to approximately $222 CAD per night. As I was traveling with someone, this cost was cut in half. Of course, the price may vary based on season and availability. 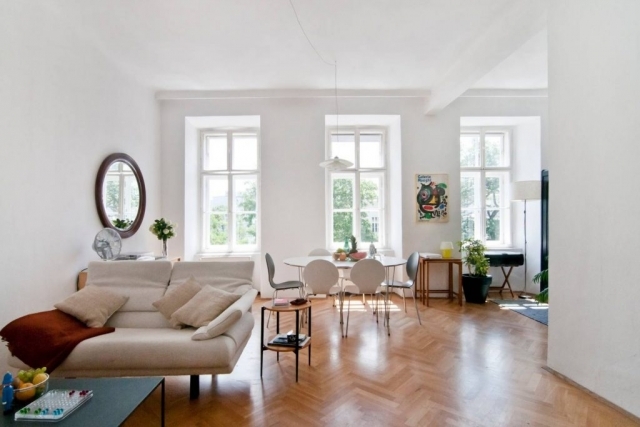 But the quiet location, proximity to various attractions/bars/cafes/restaurants/shops/etc., spaciousness, personal comfort, various amenities and overall experience of staying here make this Airbnb listing more than worth the cost, especially when you consider that of hotels in the city. 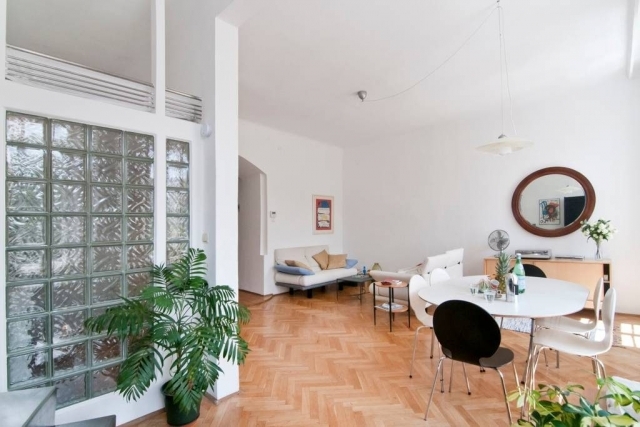 Considering all of the previous, I would not hesitate to recommend this listing to any travelers to Vienna and I would definitely return in the future! The host enforces a moderate cancellation policy, with free cancellation within 48 hours of booking. You can cancel up to 5 days before check-in and receive a full refund (minus the service fees). If you cancel within 5 days of your trip, the first night is non-refundable, but you will be refunded 50% of the cost of the remaining nights. The service fees will be refunded if you cancel before check-in and within 48 hours of booking. *Note: Leander is a very accommodating host. If he can work it out with other check-out times, he will provide early check ins. But keep in mind that the apartment is often booked – so this may not always be possible! Although we couldn’t get an early check in, I am always appreciative of hosts who do what they can to accommodate their guests’ arrival schedules. 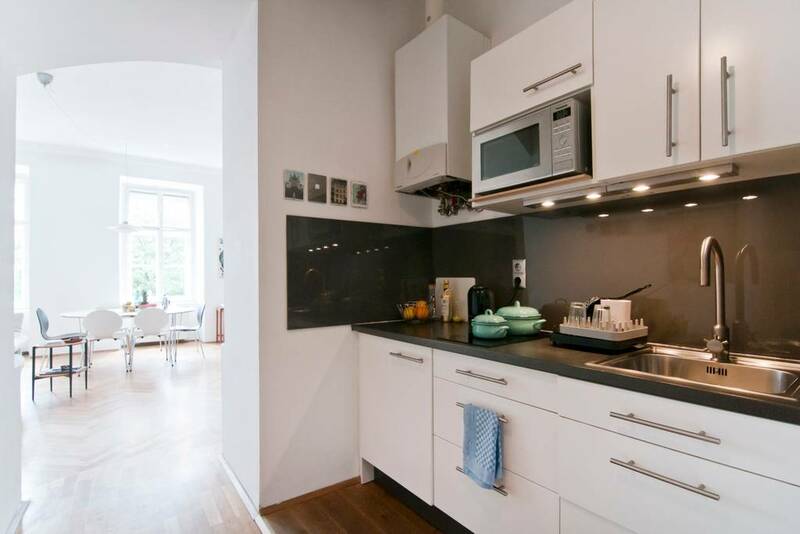 This Airbnb apartment has been given an overall 5-star rating on Airbnb across 91 reviews and six categories: accuracy, communication, cleanliness, location, check-in and value. So, don’t just take it from me, take a look at what everyone else is saying! To see more photos of, read other guest reviews on or book a stay at this apartment, click here. If you’re new to Airbnb, you can earn travel credit toward your first booking when signing up here. 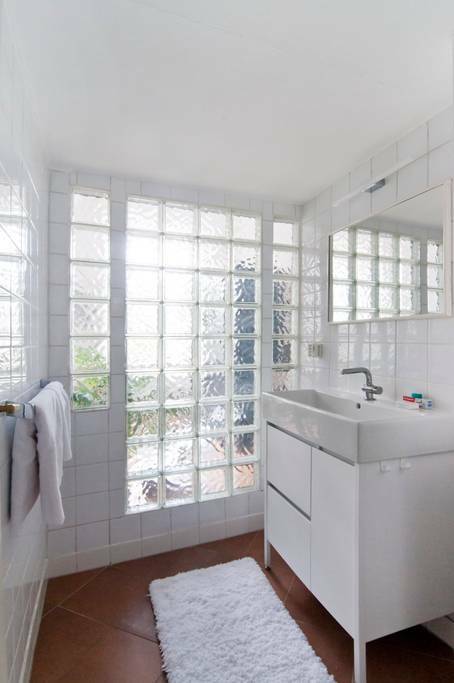 You can also peruse my other Airbnb reviews here. 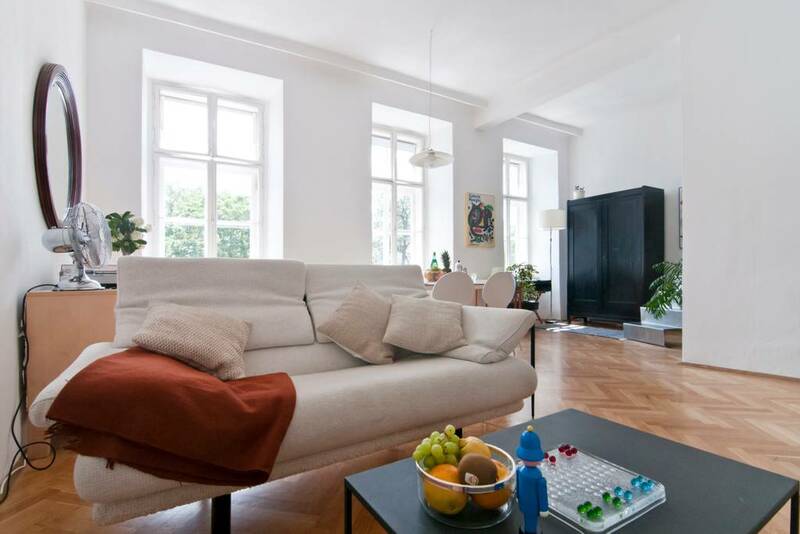 This piece was written in conjunction with Leander, the host/owner of this lovely Vienna-based apartment. Thank you Leander, for all of your help in facilitating this stay. All opinions are my own. All of the owner’s photos have been used with his consent. I would love to visit Vienna – what a great little city break. I use Air B&B a lot so might have to look this one up – looks fab! This Air BnB is amazing. I love how inviting it looks. It was such a lovely place to stay! If you ever go to Vienna, stay here! The Air BnB looks beautiful. I have never utilized one before but you did a great job with the information and review! Thank you so much for your comment! Wow, I’m surprised at all the people who haven’t used airbnb before! Is there a reason why (just curious!)? 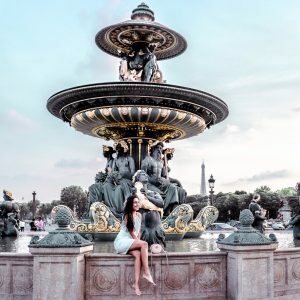 Totally recommend it for your next travels – I’ve stayed in some of the BEST places. Whenever you decide to sign up, use my link for a discount =P: http://www.airbnb.ca/c/ashas266. I promise you won’t regret it! That is an awesome place to stay! Vienna is such a gorgeous and historical city. Really! I’m so surprised at how many people haven’t tried it before. It’s honestly the best travel service. I really hope you consider trying it – you won’t regret it, I promise! And when you do try it, sign up with my link (www.airbnb.ca/c/ashas266) to save some money on your booking! 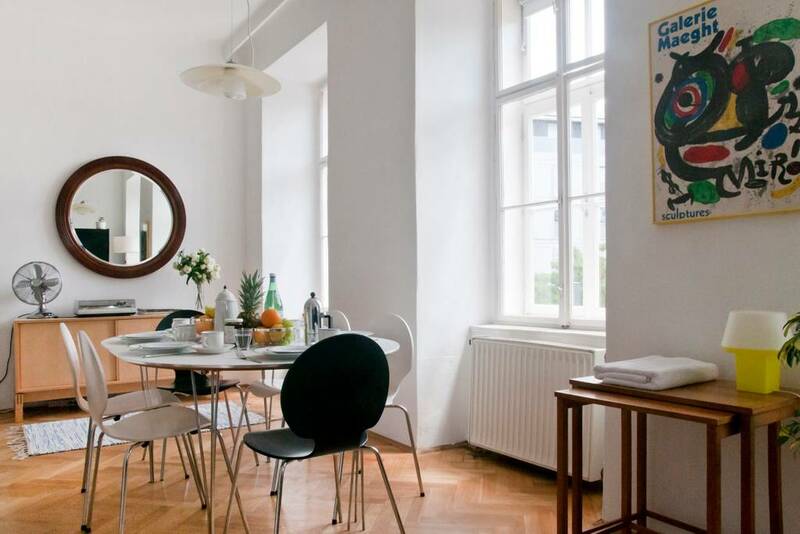 You can always count on Airbnb to give you some pretty nice places to stay around the world. This Airbnb is so cute, clean, and crisp, I love it! Totally agree – I’ve stayed in some pretty awesome places. I know it’s more popular now but still lots of people haven’t tried it before. I wish they would – I feel like it takes the travel experience to a whole new level! I have never been to Vienna and I know how beautiful this place is that is why I want to be there to see and explore everything about this place. It’s a really beautiful city! This looks like a wonderful place to stay! I hope one day to visit Vienna and would love to find a place this charming when I do. Wow, such a detailed post that would be so helpful to plan a great trip to Vienna. Loving the pictures so much. Thanks Preet! This is definitely the place to stay! The photos are amazing and would love to experience something like this, such a great share. This looks so lovely! I love a good Air BnB, and this place looks as though it ticks all the boxes. Thank you for sharing, and great photos! I love Airbnb too – such a great service. I’ve met so many awesome hosts! Really!? You should definitely try it – I’ve stayed in so many and have enjoyed them more than any hotel. If you ever decide to take the plunge, you can sign up with my link: http://www.airbnb.ca/c/ashas266.